You expect a good love story to sweep you off your feet and flood you with emotions that stir your core. 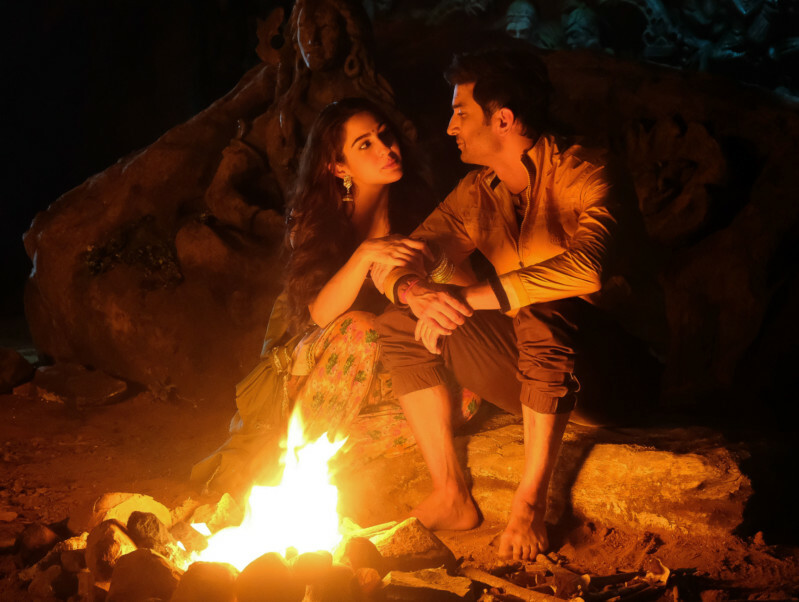 While director Abhishek Kapoor’s sweeping romance ‘Kedarnath’ doesn’t rock your world, this tale of star-crossed lovers won’t leave you unmoved either. But more than their distress, it’s the scenes in which they showcase nature’s fury — a debilitating flood in the second half — that stuns you. We are briskly transported into the world of residents living in a spirutally-charged pilgrim town of Uttarakhand. There’s Mansoor Khan (Sushant Singh Rajput), a sprightly ‘pittu’ (porter) who carries and transports pilgrims physically to the gates of the temple. This bloke is an eternal ray of sunshine and believes in helping people out even if they are mean towards him. Sample this: a pious old lady resists being carried by a Muslim bloke — underlining the religious divide in the collective consciousness of Indians — but he erodes her resistance and hate with a mixture of relentless charm and sweetness. His goodness might seem a bit forced if you are a cynic, but Rajput, 32, is as earnest as they come in attempting to play Mansoor. 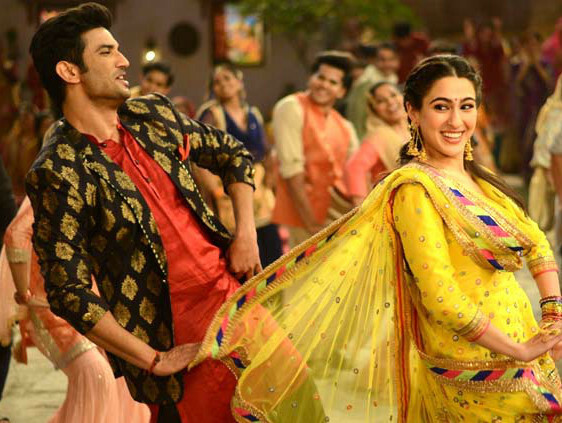 Actor hopeful Sara Ali Khan, who makes her Bollywood debut with this doomed romance, shows considerable heft in the role of Mukku, a feisty young woman living in a conservative and patriarchal household in Uttarakhand in North India. Trapped in a loveless relationship brokered by her domineering father, the 20-something Khan is a natural. She might seem raw in a few emotional scenes, but has a commanding screen presence. Her turbulent relationship with her family and her stormy dynamic with her elder sister is spot on. While her character may come across as annoyingly chirpy and self-indulgent in the beginning, Mukku grows on you. She’s an acquired taste. It’s very evident that this film belongs to Khan as all forces are at work to display her range as an actor. But it’s not wholly undeserved. She looks fetching and owns her flaws with confidence. The love story set against the real event of 2013 Uttarakhand floods isn’t novel. 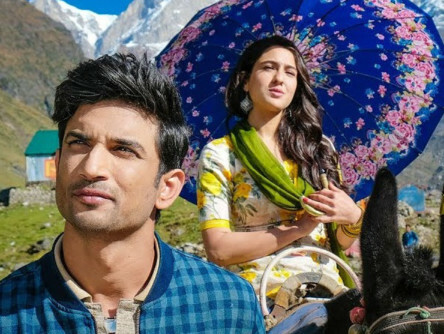 A Hindu girl falling in love with a Muslim lad and rebelling against the prejudiced world who resist their union is as old as the picturesque hills near the Kedarnath temple. We know how every scene is going to play out, but there’s always something enchanting about a pair of forbidden lovers. Rajput and Khan manage to ignite some chemistry between them in the first half, but things unravel into melodrama in the second half. A menacing and morally-corrupt fiance (Tarun Gahlot) and Mukku’s self-serving father seem like villains from a been-there-seen-that Bollywood potboiler. The evil men are just archaic in this film. The narrative hurtles towards a hasty wedding in the second half (wholly unbelievable) and Mukku going on a rabid self-destructive mode. This is when things turn ludicrous in this film. But just when you were about to give up on this disastrous love story, a devastating natural calamity hits pulling us back into the film. The stormy scenes in which mother nature unleashes its fury and swallows the small tourist-driven town rattles you and makes you believe that a natural disaster is the biggest leveller in life. However, there’s a lot packed into the second half. The turbulence in the lover’s lives is somehow reflected in the widespread havoc that an unexpected flood unleashes. It’s an interesting juxtaposition. However, the climax descends once again into overly dramatic territory. Plus, other than Khan’s character, no other secondary characters get fleshed out. Their reasons for being obnoxious remain untold. While the film is interesting in parts, it doesn’t wholly come together primarily because there’s a lot going on. Just as you were about to invest our faith in the star-crossed lovers, the movie yanks you out of that pleasant feeling with scenes of widespread destruction. There’s no tsunami of feelings for the on-screen couple here because they aren’t emotionally potent. However, everything in this film is blessedly brisk — be it falling in love or a flood that swallows half the town. ‘Kedarnath’ is perfectly stormy and is good for a one-time watch.